Are you looking for a new indie addiction? Maybe you have a preference for games that numb your thumbs? Well, French-based Indie developer Pastagames has Pix The Cat coming soon for you. 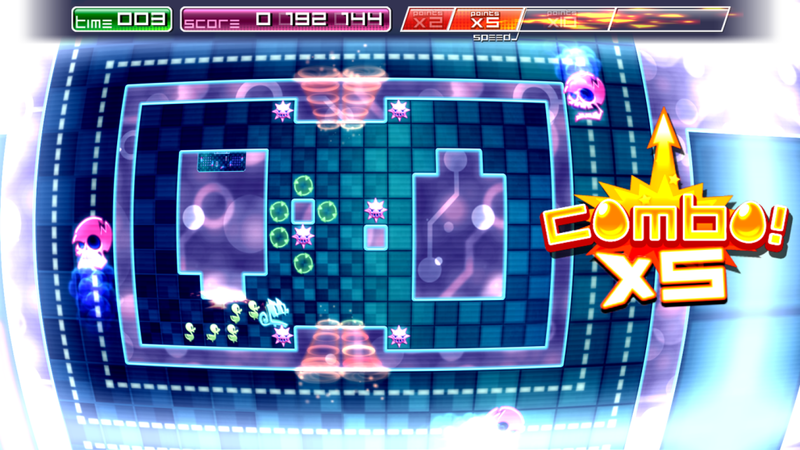 Recently announced for the PlayStation 4 and PS Vita this fall, Pix The Cat is high scoring arcade game. You play as the Blue Cat, Pix, and maneuver the levels of mazes to save trapped ducklings. The unique aspect of this game is that there are levels within the levels. So honestly considering the game is a 2-d title, despite the lack of polygons, may be doing it a disservice. As Pix moves he can straddle his tail across multiple dimensions at the same time which aids in gaining points and creating combos. To see this game in action is to realize the thrilling creativity of the concept. This game has spent three years in development. It will be an Indie title to watch this fall. I'm a graduate of Michigan State University with a degree in Chinese and one in Environmental Science. When I am not hugging trees, speaking Chinese to squirrels, reading, or working out you will find me trying to do a perfect play-through.